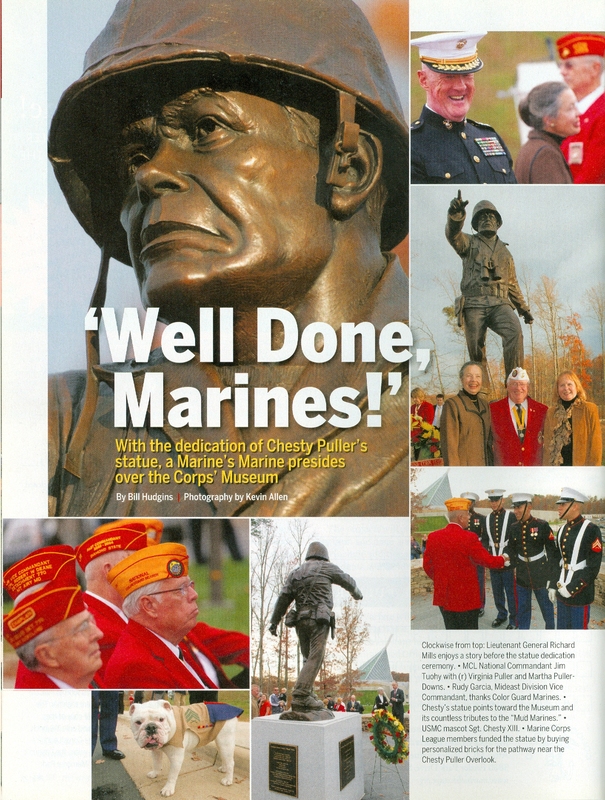 A Marine’s Marine, Lieutenant General Lewis Burwell “Chesty” Puller (June 26, 1898 – October 11, 1971) was a United States Marine Corps general officer and one of the most decorated members of the Marine Corps. 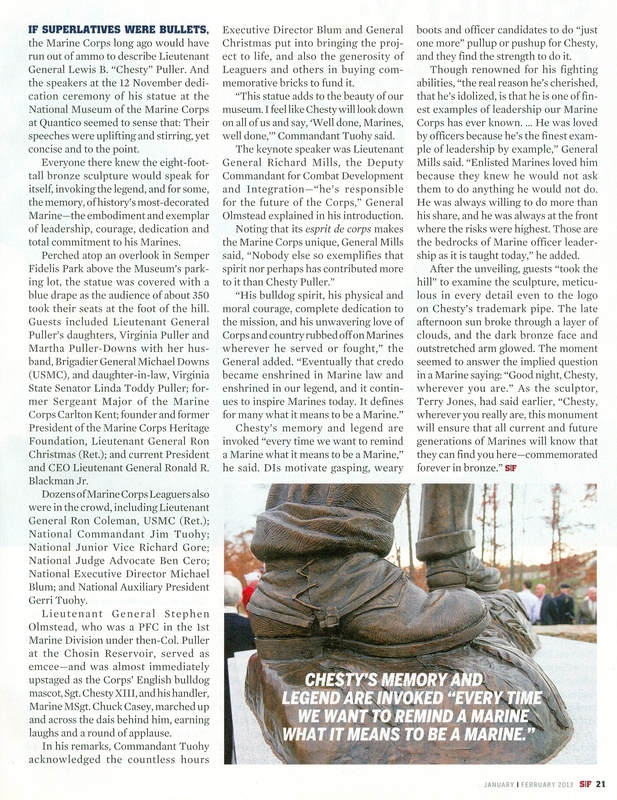 He is one of only two men (and the only Marine) to be awarded five Navy Crosses. 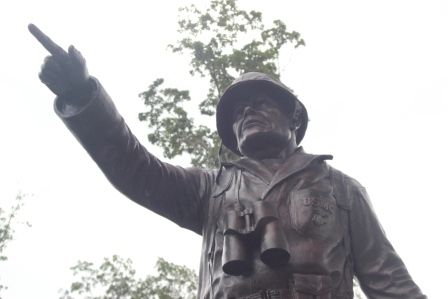 He fought guerrillas in Haitiand Nicaragua, and participated in battles of World War II and the Korean War. 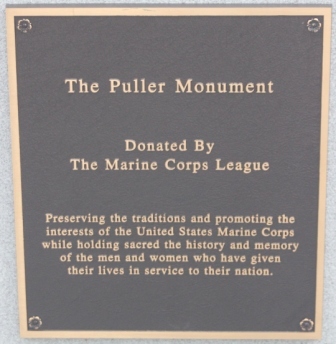 Puller retired from the Marine Corps in 1955 and spent the remainder of his life living in Virginia. 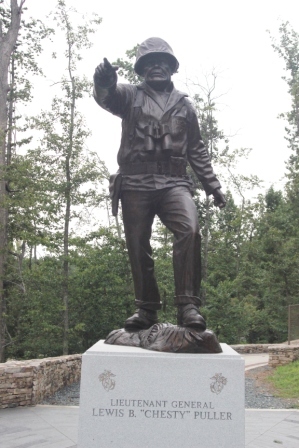 His eight-foot-tall bronze sculpture perched atop an overlook in Semper Fidelis Park brought to completion by the generosity of Leaguer’s and others in buying commemorative bricks to fund it. 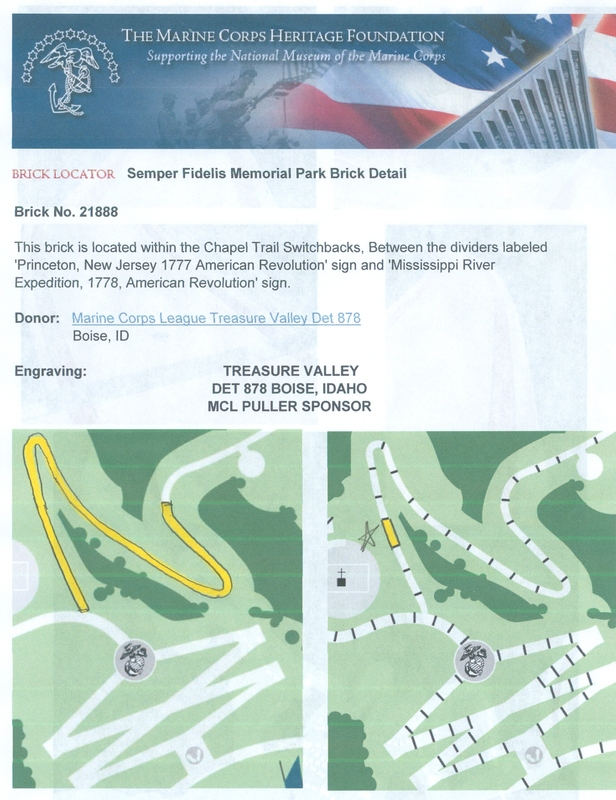 In 2013 the Treasure Valley Detachment joined the Marine Corps League to support the statue of Chesty by buying a brick, here identified is the text and location of the brick. 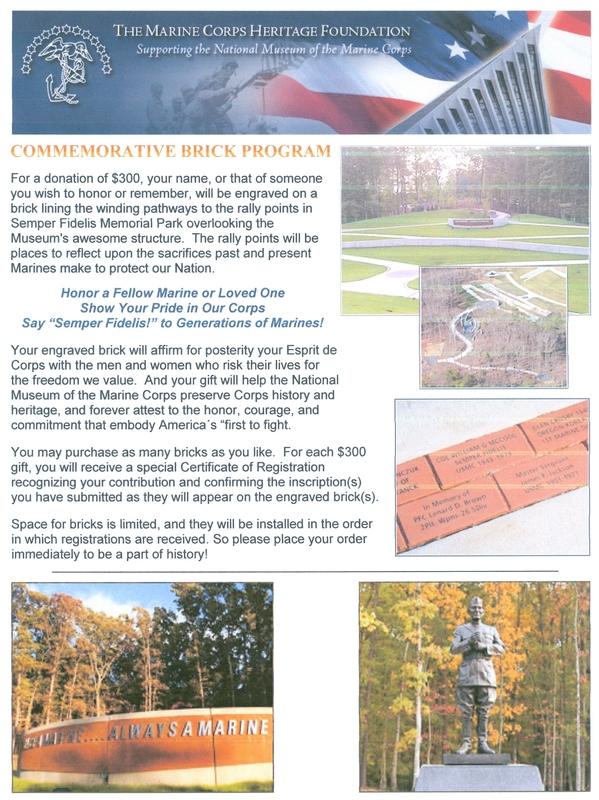 In 2013 another TVD member also bought a brick it’s information is also listed. 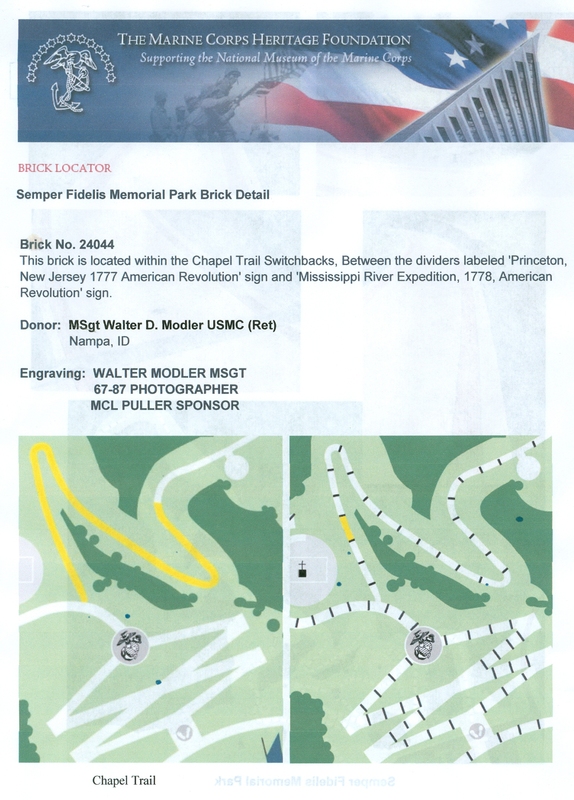 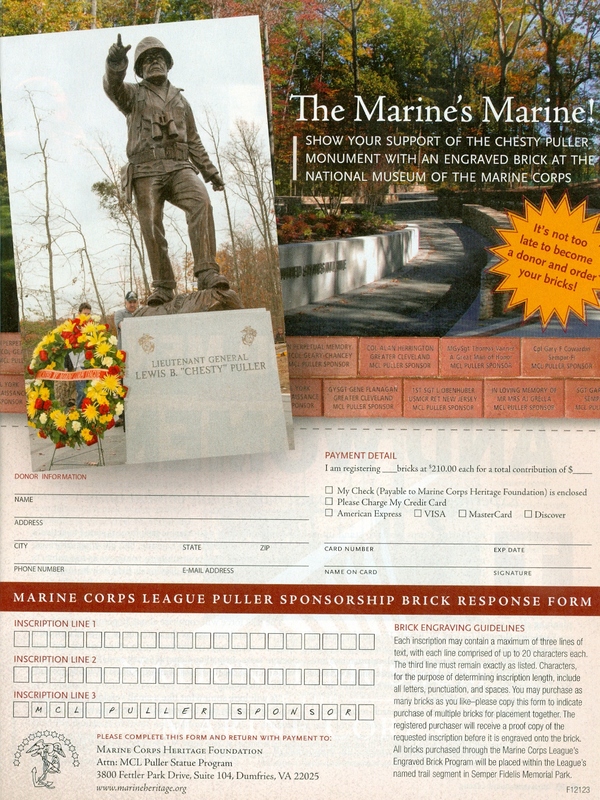 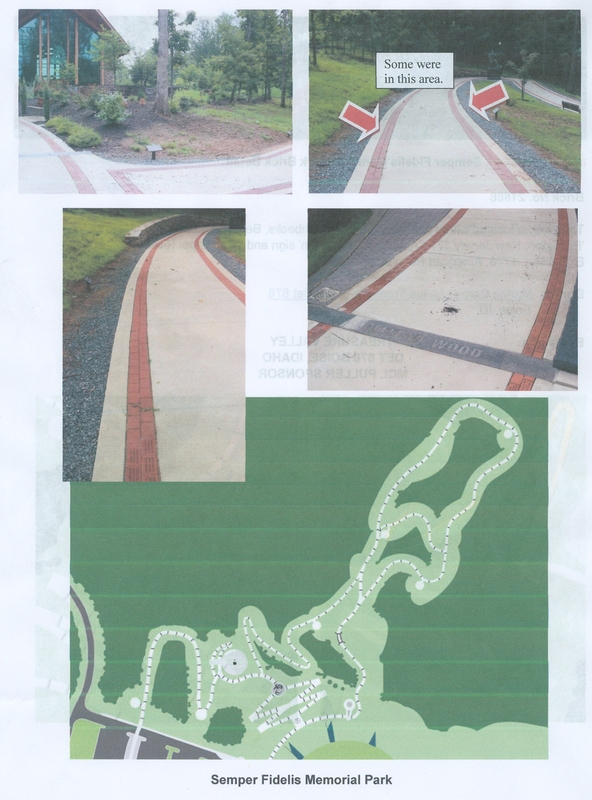 The page from Semper Fi magazine offering the bricks which are placed in the Marine Corps League section of the walk.